Fragile (Luminis Press, 2009) is a work of literary fiction riven with scintillating poetic expression which hangs together in spite of the deliberately fractured nature of the book. At first I had trouble following the narrative which would break off in mid-sentence to become the running stream of consciousness of another character. It did not take me long, however, to get drawn into the rhythm of thought processes which, although resembling a shattered vessel, retain a coherent design. The coherence is due to the character of Amanda, an aging and devout Catholic spinster who at first glance seems like the most insignificant and uninfluential person imaginable. Amanda, abandoned by her youthful sweetheart, decided long ago never to marry, and now, late in life, she feels the weight of her loneliness. She is overwhelmed by the failures and rejections of her past and present, as well as by the longing to see Tris, her lost love, one last time. It is not until the end of the book that the reader, and Amanda herself, see that Amanda's virginity has been fruitful rather than sterile. All the otherwise unconnected people and events find union and cohesion and meaning in light of her sacrificial lifestyle. The most disturbed and disturbing character is Holly, who fixes Amanda's hair one day in the beauty salon. Holly's life is in a downward spiral as she uses sexuality in order to dull the pain of an abusive childhood. She is unable to accept the love of a noble and worthy man because she is only happy when she is destroying herself. Yet the day she meets Amanda her life begins to change. Amanda's old flame is Tris, the harried businessman about to retire who, in spite of outward signs of success and one or two children, faces a life of true sterility, for it is bereft of spirituality and deep love. This is partly due to his wife, who has become more in tune with material things and less in tune with Tris. Perhaps that is because Tris did not marry her for love but because she reminded him of someone he had lost through his own cowardice and weakness. The emptiness of the relationship is symbolized by the use of contraceptives which strip the union of all passion and self-donation, reducing it to a transaction of lust. Tris' story is perhaps the saddest in the long run since, in spite of his prosperity and respectability, he seems to have nowhere to turn until he ends up at Amanda's church. 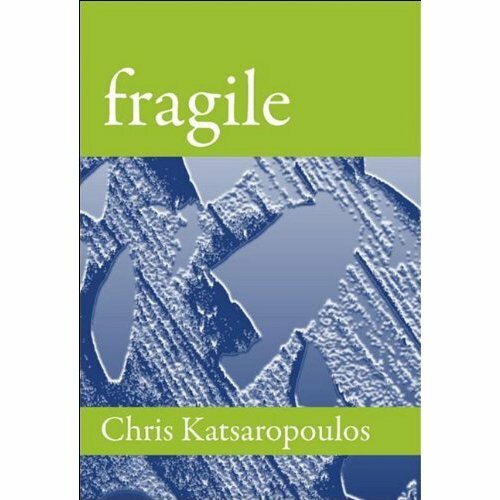 Fragile, as earthy as it is ethereal, shows that in spite of the bleakness and lovelessness of the modern world one hidden life of prayer and good works can have far-reaching effects upon the cosmos. And yet such souls must often struggle along in darkness, as Amanda does through most of the book, blind to her unique and radiant gifts, which shine forth at the finale. Sounds like a challenging yet poetically beautiful story.